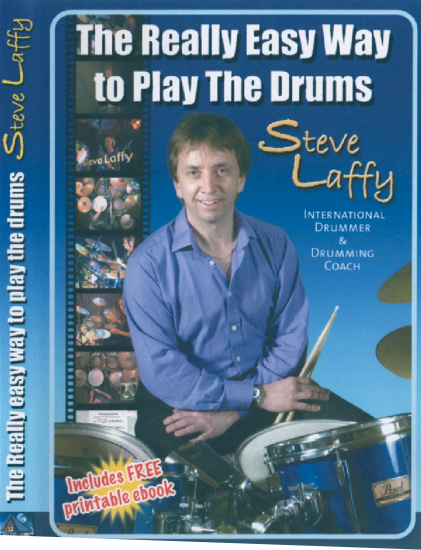 The DVD version of an Amazon-UK’s number one best-selling drum instruction book, “The Really Easy Way To Play The Drums” by Steve Laffy. 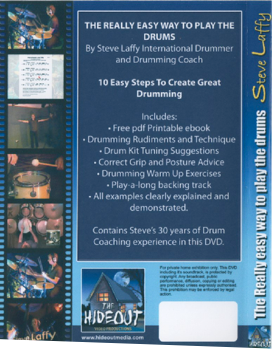 Along with Steve's 30 years of drum coaching experience, it contains: free PDF printable e-book - drumming rudiments and technique - kit tuning suggestions - the correct grip and posture - warm up exercises - play-a-long backing tracks. All examples clearly explained and demonstrated.